I know Allah wants to see Trump in the White House. I do not know Mexico but if Trump says we need a wall I will help build the wall. I was afraid to speak up when I had a green card. I am an American now and I am voting Trump! We must all help Mr Trump build the wall. Malik Obama was present in Las Vegas on Wednesday as a guest of Trump at the third and final presidential debate. 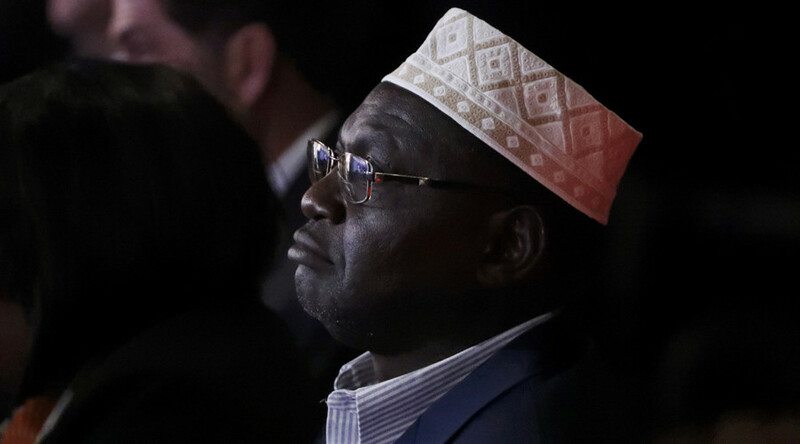 The Kenyan, who has become estranged from his half-brother in recent years, told Reuters in July that Trump “appeals to me and also I think that he is down to earth and he speaks from the heart and he is not trying to be politically correct”. How do I get verified? Do I submit my birth certificate? A barrage of tweets from the account beginning on Tuesday criticized Barack Obama claiming “He is a son of Africa but he hasn't loved us!” Michelle Obama is also criticized for attempting to separate Malik from his half-brother, who was Obama’s best man at his wedding to Michelle. We must tell the truth my fellow Kenyans. What has my brother done for our people? He is a son of Africa but he hasn't loved us! Michelle makes me sleep in hotels when I wanted to visit my brother but my brother stayed with me. Brothers must love one another! I took care of my brother when he went to Kenya but he does not take care of me in America. This is not good! Not good! We must love one another and mr trump. Do not follow me. Follow him. He is a leader. It is true that Trump has always helped the black man. Mike Tyson knows!!! I love Islam and Trump. Islam is about peace and so is Trump! Obama care is a bad name for it. Obama does not care. I want Trump care! Whether the account is genuine or not, its power seems to be in the hands of an internet newbie, still unfamiliar with the dark corners of the web.